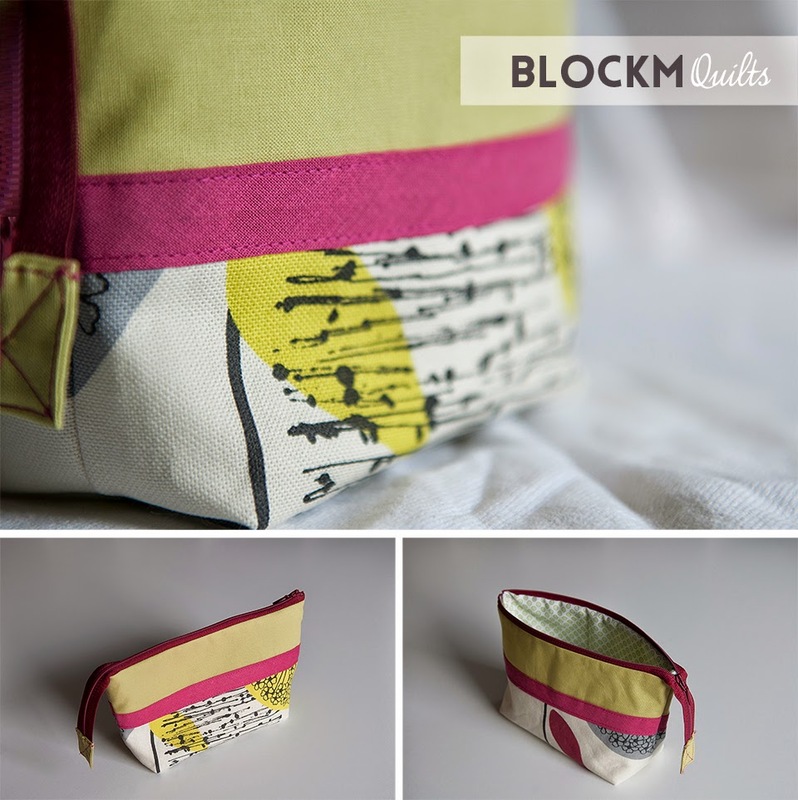 block M quilts: I have been busy making zipper pouches! 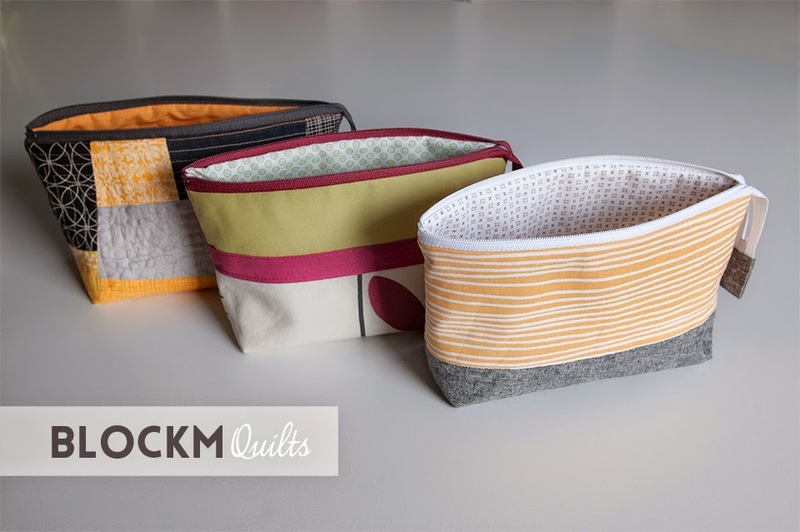 I have been busy making zipper pouches! Not that you think I was lazy... 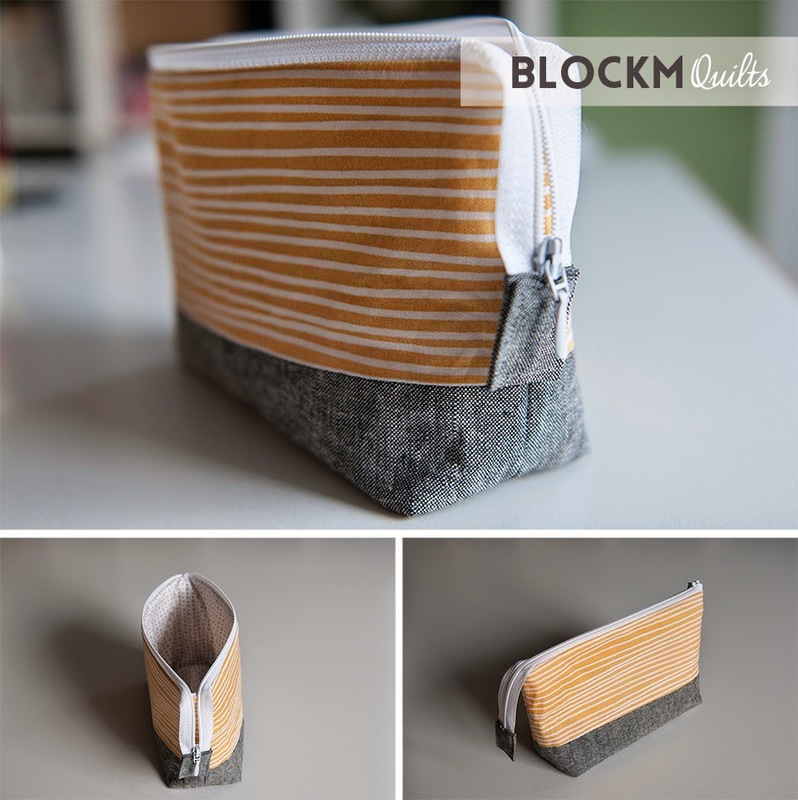 I have been making some open wide zipper pouches following this tutorial by Noodlehead. These are the smaller sizes but slightly altered. 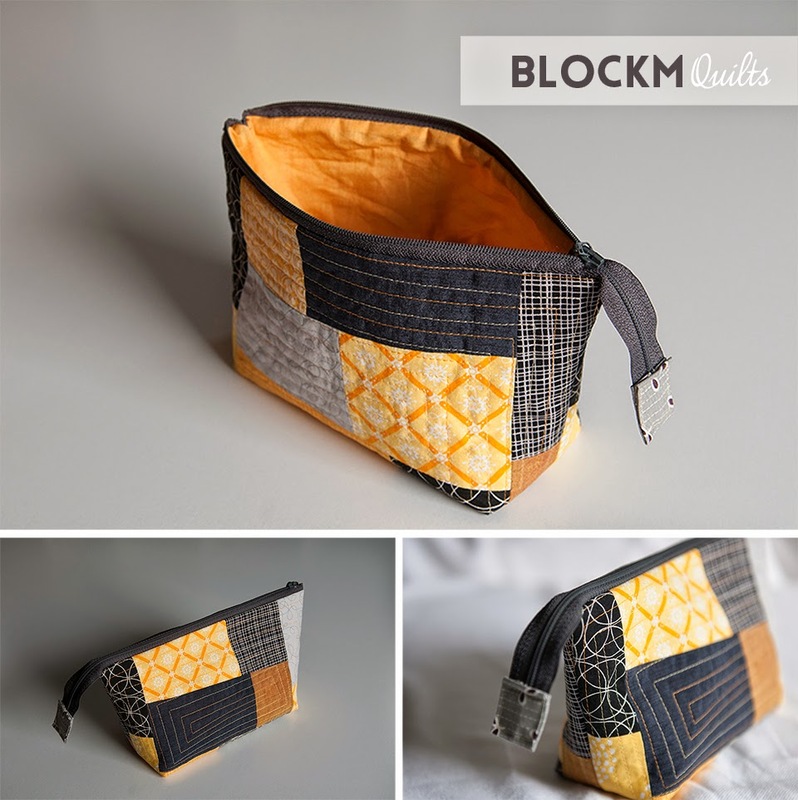 The first one I made was from fabric left overs from my current quilt in progress with crazy piecing and beautiful multicoloured Aurifil thread, I loved the effect it had and will use it on my quilt as well. The second one I made was a gift for one of my best friends and rowing partner, her favourite colour is green so I added pink and a linen fabric with grey, green and pink. And the third one was my very first custom made item for my colleague, he wanted this as a present for his girlfriend, he picked the colours and thankfully they both liked it, phew! I am in the final touches of quilting my fifth quilt and will post about it soon!